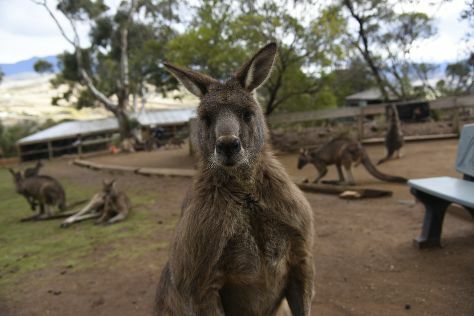 Kick off your visit on the 8th (Fri): look for all kinds of wild species at Cataract Gorge Reserve, look for all kinds of wild species at Platypus House, then meet the residents at Seahorse World, and finally tour the pleasant surroundings at City Park. For traveler tips, ratings, reviews, and other tourist information, refer to the Launceston day trip tool . Brisbane to Launceston is an approximately 5.5-hour flight. You can also do a combination of flight and bus; or do a combination of car and ferry. Traveling from Brisbane in February, expect Launceston to be slightly colder, temps between 28°C and 13°C. On the 9th (Sat), wrap the sightseeing up by early afternoon so you can drive to Hobart. On the 9th (Sat), look for all kinds of wild species at Bonorong Wildlife Sanctuary and then take in the waterfront at Constitution Dock. On the 10th (Sun), you'll have a packed day of sightseeing: contemplate the long history of Cascades Female Factory Historic Site, explore the world behind art at Tasmanian Museum and Art Gallery, then take in nature's colorful creations at Royal Tasmanian Botanical Gardens, and finally get to know the fascinating history of Battery Point Sculpture Trail. Use Inspirock's suggestions to plan your Hobart trip and find the best activities and attractions for your vacation. Traveling by car from Launceston to Hobart takes 2.5 hours. Alternatively, you can take a bus. In February, plan for daily highs up to 26°C, and evening lows to 14°C. Finish up your sightseeing early on the 11th (Mon) so you can go by car to Bicheno. Bicheno is a town on the east coast of Tasmania, Australia, 185 km north-east of Hobart on the Tasman Highway, with a population of 853. Plan a trip to Bicheno easily and quickly by telling Inspirock to suggest an itinerary. Traveling by car from Hobart to Bicheno takes 2.5 hours. Alternatively, you can take a bus. 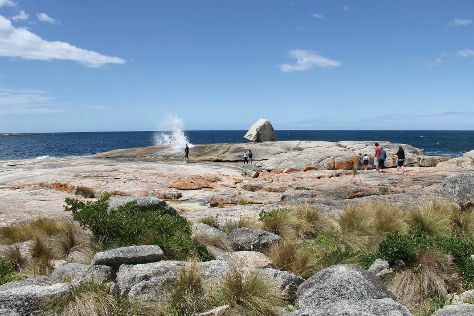 February in Bicheno sees daily highs of 28°C and lows of 13°C at night. On the 12th (Tue), wrap the sightseeing up by early afternoon so you can drive to Launceston. 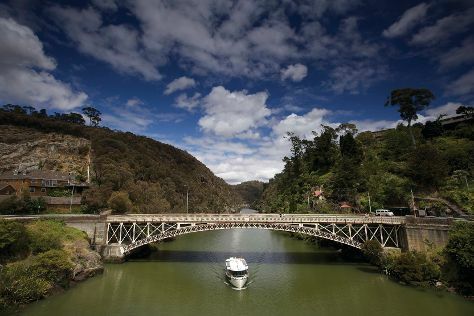 Start your trip to Launceston by creating a personalized itinerary on Inspirock. You can drive from Bicheno to Launceston in 2.5 hours. Other options are to do a combination of taxi and bus; or take a bus. Wrap up your sightseeing on the 12th (Tue) early enough to drive to Coles Bay. On the 13th (Wed), explore the striking landscape of Freycinet National Park. 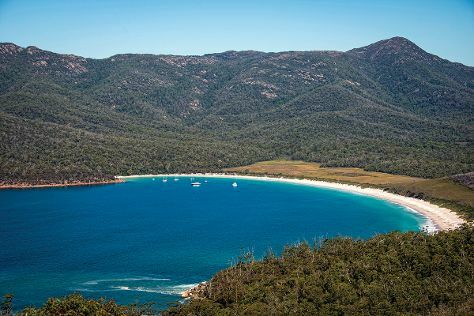 Get ready for a full day of sightseeing on the next day: experience rural life at Freycinet Marine Farm, trek along Wineglass Bay Lookout, and then get up close to creatures of the deep with a dolphin and whale watching tour. To see where to stay, ratings, photos, and other tourist information, read our Coles Bay visit planner . You can drive from Launceston to Coles Bay in 2.5 hours. Alternatively, you can do a combination of bus and car; or do a combination of bus and taxi. Wrap up your sightseeing by early afternoon on the 15th (Fri) to allow time for travel back home.